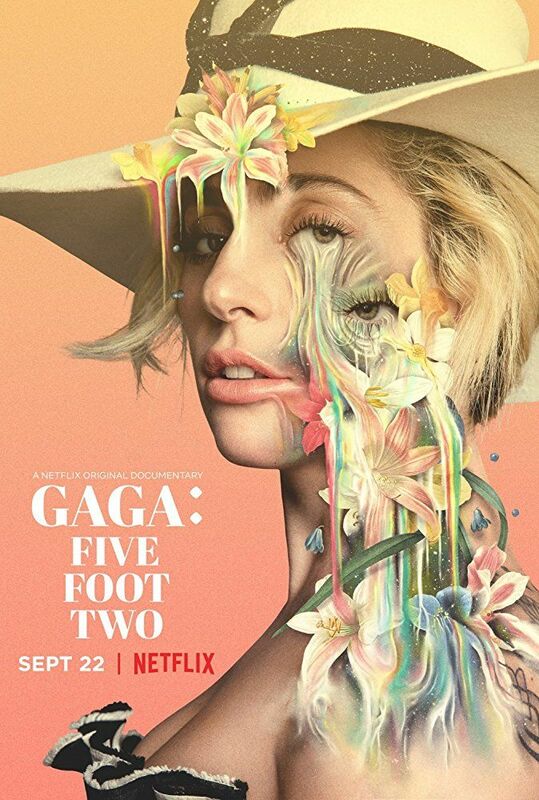 According to Netflix, Gaga: Five Foot Two is of cinéma vérité style, as to give viewers "unfiltered, behind-the-scenes access" to a year in the life of Gaga, during which they cover the production and release of her fifth studio album, Joanne. Many events are covered including her experiences with her entourage, her encounters with fans and her struggle with chronic pain caused the onset of fibromyalgia. The film also offers an extensive look at the creation and execution of her critically-lauded Super Bowl LI halftime performance, in addition to a variety of other topics and events, including her home life, the filming of her guest role as the character 'Scáthach' on American Horror Story: Roanoke, and a discussion about her feud with singer Madonna, among other things. Read more on Wikipedia.